I am Aishwarya Bhatnagar, just another human being who is trying to survive the outside scorching heat of Ahmedabad. But I have the option to turn on fan, AC and drink water to keep myself hydrated. But unlike me, the street animals like dogs, cows, birds etc don't have this option they try to find someplace which is not in direct sun but still, that is not enough to survive this blazing temperature. They require lots of drinking water to keep them hydrated, they keep roaming in around in search of the same. I have seen some amazing people around the city have kept earthen pots with water in it for the animals, but as noticed the number of street animals is quite huge and such water establishments quite less. 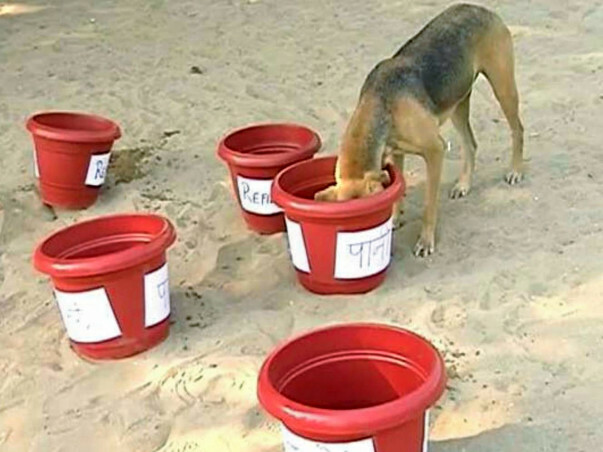 So I am trying to raise money here so that I can put big earthen pots throughout the city and can request the residents and shopkeepers nearby to fill these pots with water so that animals get a chance to survive this heat. ANIMALS NEED US IN THIS TIME OF HOUR TO HELP THEM. SO PLEASE HELP ME RAISE THESE FUNDS AND FEEL PROUD THAT EVEN YOUR SMALL CONTRIBUTION CAN SAVE SOME ANIMAL'S LIFE. THEY CANT SPEAK BUT IF THEY DID THEY WILL BE VERY THANKFUL FOR YOUR CONTRIBUTIONS. It gives me immense pleasure in informing you all that I shall now start planting water containers. The Acropolis area in Thaltej is where I will begin this from. I shall be withdrawing the funds raised from this campaign in order to do my bit towards the cause. Please keep supporting me so I can make this world a better place.